“Allied Trade Links Pvt. Ltd.” is the leading and well known industry for its quality Aluminum Ladders and Scaffoldings. Our long presence in this sector has made us to earn a respected name in manufacturing and supplying. We offer a wide range of Aluminium Products. Our team of experienced Engineers constantly monitors the work and delivers the best. We presently have a wide range of products to offer. 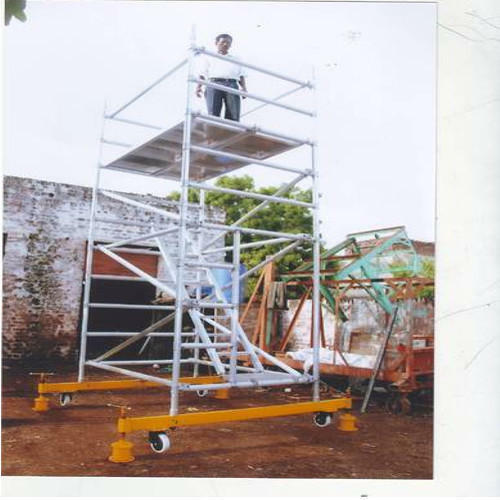 Our range includes: aluminium scaffolding, ladder jack scaffolding, ladder jack scaffold, portable scaffold, aluminium ladders and trolleys.